Thieme congratulates Milton Waner on being chosen by New York magazine for its prestigious `Best Doctors 2017' list. Vascular Lesions of the Head and Neck provides readers with an up-to-date review of the pathology, basic science, classification, radiologic features, and treatment modalities for vascular lesions of the head and neck. It covers all recent developments in medical and surgical treatment, laser technology, endovascular techniques, and appropriate radiation protocols that dramatically affect the evaluation and management of patients with vascular lesions. 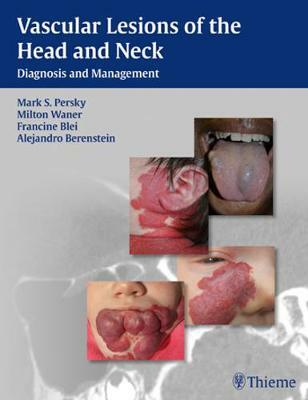 This book is an excellent desk reference for all otolaryngologists, plastic surgeons, vascular interventional radiologists, pediatricians, dermatologists, pathologists, and general pediatric surgeons involved in the treatment of patients with vascular lesions of the head and neck.